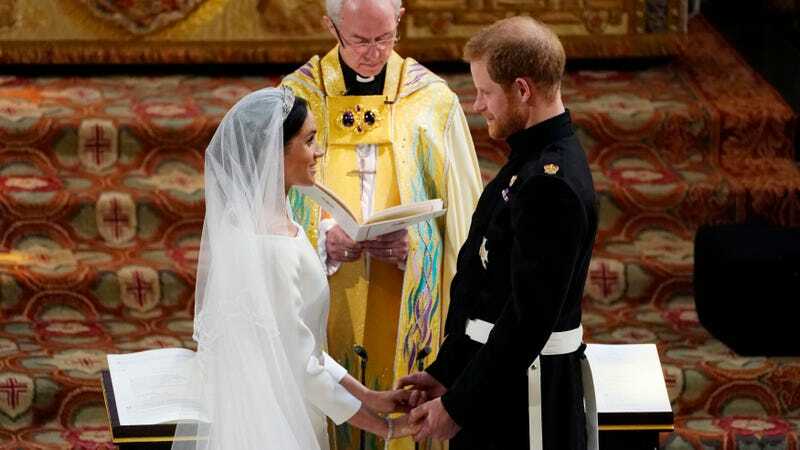 As previously reported, Meghan and Harry’s royal wedding sermon, delivered by American Bishop Michael Curry, brought American black culture to the fore of an aging, all-white, and fairly racist monarchical structure. Another truly moving force was the British gospel choir Karen Gibson and the Kingdom Choir, who sang “Stand By Me” to an almost all-white audience just before the nuptials. And America swooned over Prince Harry’s uncontainable loveliness which we would like to import also, please. Please?